The pajarillo cautivo, the little captive bird. Mestizo is the historical/traditional way to denote a person of mixed indigenous American and European blood. 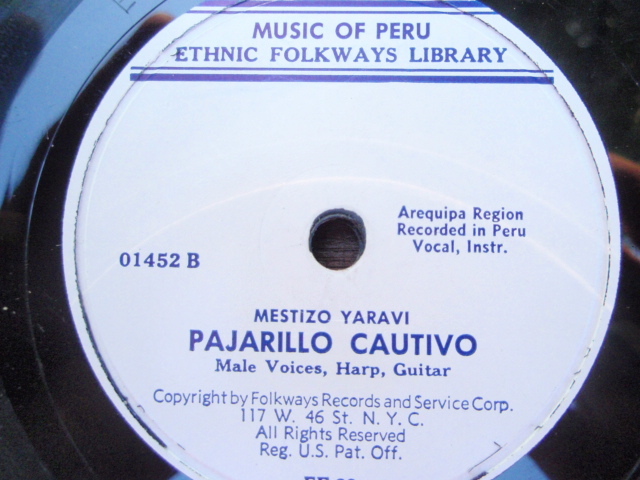 A yaravi is a song form in triple meter, in the minor tonality, sung in the Peruvian Andes mountains; these are songs of passion and loss, complicated love affairs etc. I put this song on today and, against a backdrop of full sun and slightest browning leaves, a bit hot and humid too, it completed a feeling which I cannot explain, but which this beautiful music would explain to anyone with love in their heart. It sounds like a three piece to me: harp, guitar, singing. There is an old fire to this music which I have never experienced in person, and might never. And what a shame that most of us living now,together in the future that we had been hearing about for so long, will never either.